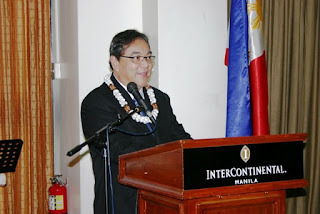 Tourism Secretary Ramon Jimenez, Jr. shares his agency's development plans for 2012 in his keynote speech during the Philippine Tour Operators Association’s (PHILTOA) 1st General Membership Meeting for 2012 at the Hotel Intercontinental in Makati City on February 8, 2012. The gathering drew various representatives from the tourism sector, as well as key personalities such as Ilocos Norte Rep. Imee Marcos and Travel Time host Susan Calo Medina. THE P128-billion government infrastructure plan for 2012 includes the construction or renovation of important tourism facilities that will help the country eventually attain its goal of attracting 10 million tourists by 2016. 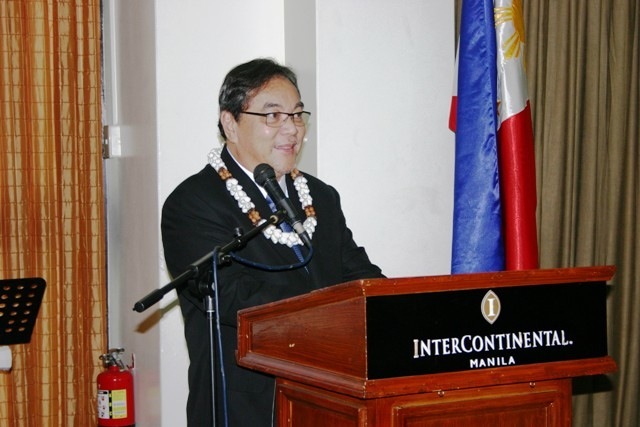 Underscoring that the government is already doing its job by financing tourism infrastructure projects and embarking on a marketing campaign, the DOT chief also urged tour operators to support these efforts by offering “competitive” travel packages to the country. “We must review our pricing. Our new marketing slogan is based on a simple word, ‘fun.’ But how much fun is our fun? Competitive ba tayo? ‘It’s more fun in the Philippines’ is not just a slogan, it’s a competitive marketing strategy. So we should ensure for example, that a boat ride here costs the same as boat rides in other places,” Jimenez said. One of the more common complaints even by local tourists is that it is more expensive to travel within the Philippines than to go abroad. Also, foreign travelers have noted that fees in some tourist destinations like environmental fees and user’s taxes seem indiscriminately charged. Philippine Tour Operators Association president Cesar Cruz expresses optimism for the tourism industry's growth this year during Philtoa 1st General Membership Meeting for 2012 at the Hotel Intercontinental in Makati City held on February 8. 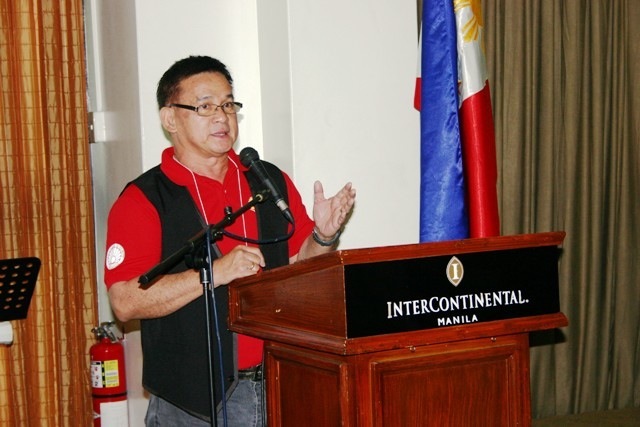 During an open forum after his speech, Jimenez also revealed more positive developments that would boost tourist arrivals in the country. He said he was hopeful that the Federal Aviation Authority would soon revert the country to Category 1 safety status, which would in turn, encourage the European Union to lift its ban on Philippine carriers. “We’re currently awaiting the [FAA] audit. That in itself is a good signal because you can’t be scheduled for an audit if you’ve not passed the pre-audit. So we’ll get that audit at the close of the first quarter.” The country is currently under FAA’s Category 2 status, which prevents Philippine carriers from expanding its routes in the US. The country will also benefit from the Single Asean Visa that Asean tourism officials are currently working on. “We will make that a reality soon, maybe in the next year and a half. So anyone can walk into a Singaporean or Malaysian embassy anywhere in the world and get an Asean visa. This will enable him to automatically go to the Philippines. This is important for the European, US and Chinese markets,” Jimenez said. For their part, members of the Philtoa also asked the DOT chief to look into new regulations by the management of the Ninoy Aquino International Airport that prevent travel agency representatives from personally meeting their arriving clients, and disallow transiting tourists from leaving the airport terminals and going on short city tours. Philtoa has also adopted the “It’s more fun in the Philippines” campaign for the 23rd Philippine Travel Mart, a travel trade show featuring Philippine tourism destinations and hugely discounted tour packages. An annual event of the Philtoa, the PTM will be held from August 10 to 12 at the SMX Convention Center in Pasay City. Organizers of the PTM project an increase in both the number of participants and visitors this year. Last year’s expo recorded some 77,000 individuals in foot traffic and generating gross sales of some P33 million.